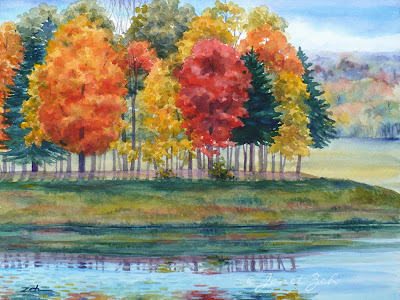 A pond reflects the sky and the colorful autumn trees. This scene is near my studio. It's most beautiful when the autumn foliage is at its peak! 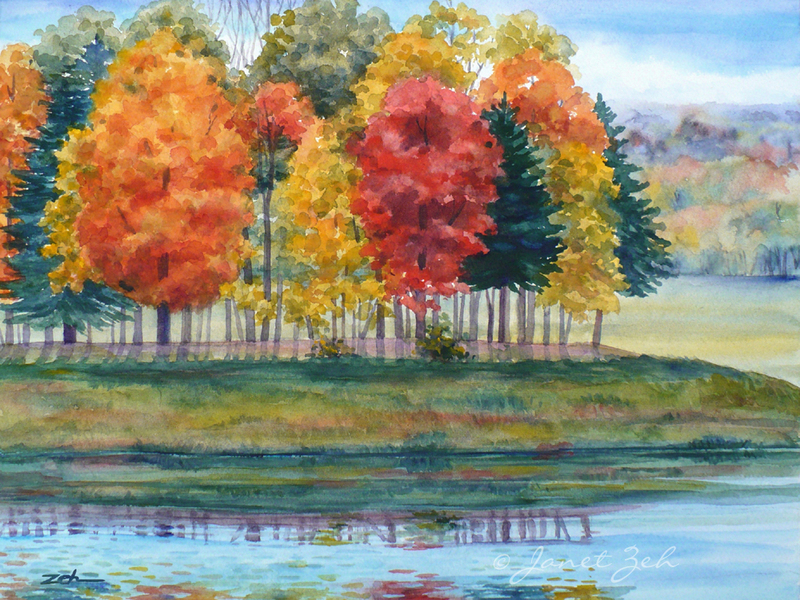 Fall Reflections print is available in multiple sizes and may be ordered framed, unframed or on canvas. Click the Order Print button below for sizes, options and prices.